Empowering students to explore careers while meeting their Graduation Pathway requirements! Central Nine is proud of its dedication to high quality career and technical education (CTE) programs and is actively enhanced by utilizing collegiate partnerships, providing the best college and career value in education! 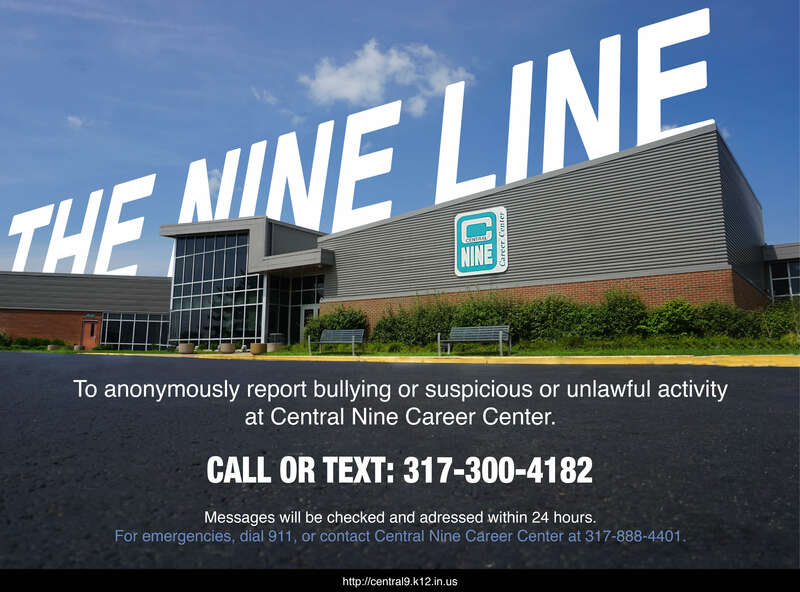 Central Nine provides it's services to it's nine partner schools in Johnson and Marion County. All enrollment is done through those residential school districts. Click the image for more! Students have twenty-seven programs, in seven different areas of study to chose from. These professional programs offer college credit, certification, and other resume advancement opportunities. Central Nine's Newsletter, The Centralizer is a great way to find out about what our students are up to each semester. Click the image to Keep in touch by subscribing to our newsletter. Central Nine Career Center is dedicated to providing its local high school students with life changing career and technical educational experiences that assist them in meeting Graduation Pathway requirements and lead them to the workforce and college as informed, innovative, and professional citizens with career goals. 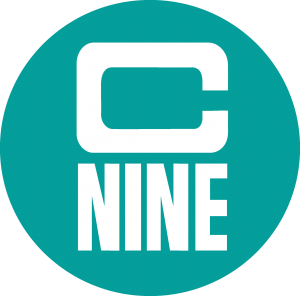 As a community leader, Central Nine is renowned for nurturing student potential by providing high school students with an affordable higher level of education and has been repeatedly recognized for its efforts in building up the workforce of trained and distinguished young people. Central Nine is proud of its dedication to high quality career and technical education (CTE) programs and is actively enhanced by utilizing collegiate partnerships, providing the best college and career value in education. Most of Central Nine’s dynamic professional programs offer college dual credit and/or certifications that advance students education and career possibilities. Central Nine’s top priority is to allow students to explore careers in a unique and innovative learning environment while also empowering students to meet their Graduation Pathways requirements. After enrolling through one of Central Nine’s partner schools, students attend their selected program during either the morning or afternoon session every weekday. Dear Central Nine, My son is enjoying Central Nine and participating in the Construction Trades class this year. He has stories to tell me every day after school about what he did that day. He really likes working for and with his teacher! Now he is looking more towards the future and thinking about what he’ll do after school. Plus, his grades in his early college classes are better now, too and I think it has a lot to do with how much more focused he is because of his Central Nine class. I’ve also noticed the positive response I’ve been getting from adults when I tell them about his choice to attend Central Nine. It’s been gratifying to hear them talk about the program and their positive feedback. "The advice you guys were able to give me, in my eyes, helped me get the job. I believe they were very impressed with the questions I asked them, and how well I responded to theirs. I can't help but think of Central Nine, and how adaptable you guys taught all of your students to be." "You have been a blessing in Stephanie's life this year. She highly regarded you and respected you and your character. She enjoyed you and being in your class this year. Her attitude towards school and learning drastically changed this year. You have no idea how you have made a difference in her desire to come to school and her willingness to learn. May God richly bless you endlessly for investing in the life of my daughter. " "The hands on experiences I have learned in automotive technology will help me in the future with my plans to become a mechanic. Thank you for being patient with me because of my language barrier. I am grateful that you have treated me like all the other students in there. I will always remember the things you have taught me. " "Thank you so much for working with our son in Precision Machining these past two years. You and the program made a huge, positive difference in his high school experience, and I know he will have lasting benefits from what he learned about machining from you as well as the life experiences that you shared. He looked forward to your classes every day and regularly came home with something to tell about what he was working on. I think his level of engagement in your program also had a positive effect on his outlook and effort in his other classes at WCHS. We so appreciate the competition and internship opportunities that you made available to Mark. He loves working at Wire-Cut and was so ready for a real work experience." "Thank you for your encouragement and support of our son these last 2 year. The hands on class and internship has been fantastic!! It's good to see and hear how much he enjoys the work. It is just what he needed to feel successful! I'm very grateful to you and the FC/Central Nine partnership for the awesome hands on experiences." Enrolling in a Central Nine Program means taking part in Career and Technical Education (CTE). This provides students with the opportunity to meet their Graduation Pathway requirements, earn college credit, and prepare for their career! Our campus restaurant, To The Nine’s, is hosting it’s final Four-Course meal of the school year on Friday the 26th! See our To The Nine’s page for more info. The Transportation Programs at Central Nine are hosting a car show on campus to raise money for their SkillsUSA Competition! This event is free to the public and is $10 to register a car. All vehicles will be judged by it’s own “class” and be eligible for prizes!